Generally, this book is a reflection of the relationship between religion and theater. Particularly, it looks at the relationship of Catholicism and performance or the embodied world of theater in opposition to the written text. In investigating this relationship, two inquiries are identified. First, it is proposed that performance may be looked at as an analogy for the understanding of Catholicism. Second, the link between Catholicism and performance is ontological. In other words, this book is an inquiry on Catholicism “as” a performance and an assertion that it “is” a performance. To illustrate the as/is in the relationship of Catholicism and performance, three Catholic rituals or cultural performances in the province of Pampanga are used as examples: pamamaku king krus, libad nang Apung Iru, and kuraldal nang Apung Lucia. A former seminarian from the Mother of Good Counsel Seminary in the City of San Fernando in Pampanga, Sir Anril Pineda Tiatco earned his PhD in Theatre Studies from the National University of Singapore. He was a visiting scholar at the Research Institute for Cosmopolitan Cultures in the University of Manchester from August 2012 to February 2013. His essays have appeared in the Journal of Homosexuality, Asian Theatre Journal, TDR: The Drama Review, JATI: Journal of Southeast Asian Studies, Kritika Kultura, Social Science Diliman, Philippine Humanities Review, Modern Drama, and Humanities Diliman. He is the author of the Carlos Palanca prize-winning play Miss Dulce Extranjera o ang Paghahanap kay Miss B (The University of the Philippines Press, 2011); the stage adaptation of Jose Rizal’s unfinished novel Makamisa retitled Cuaresma (University of Sto. 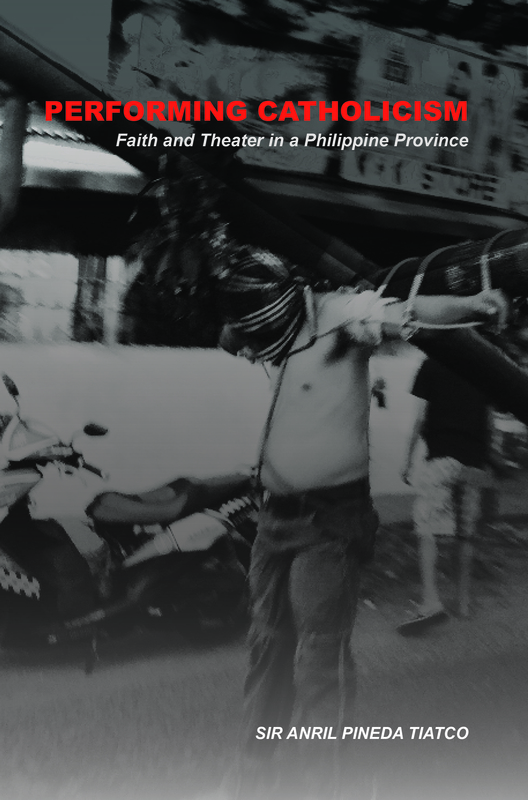 Tomas Publishing House, 2013); and Entablado: Theaters and Performances in the Philippines (The University of the Philippines Press, 2015). An associate professor of theater arts from the UP Diliman Department of Speech Communication and Theatre Arts and appointed University Artist II under the UP Artist Productivity Award (2014–2016), Tiatco is also currently the director of the UP Diliman Information Office.